Oak Ridge Waste has been the leading provider of Wilton trash collection for years, and continues to provide the example for waste companies nationwide. We are a second generation company that throughout the years has gained an enormous amount of knowledge and experience in waste collection, recycling, and dumpsters provision. 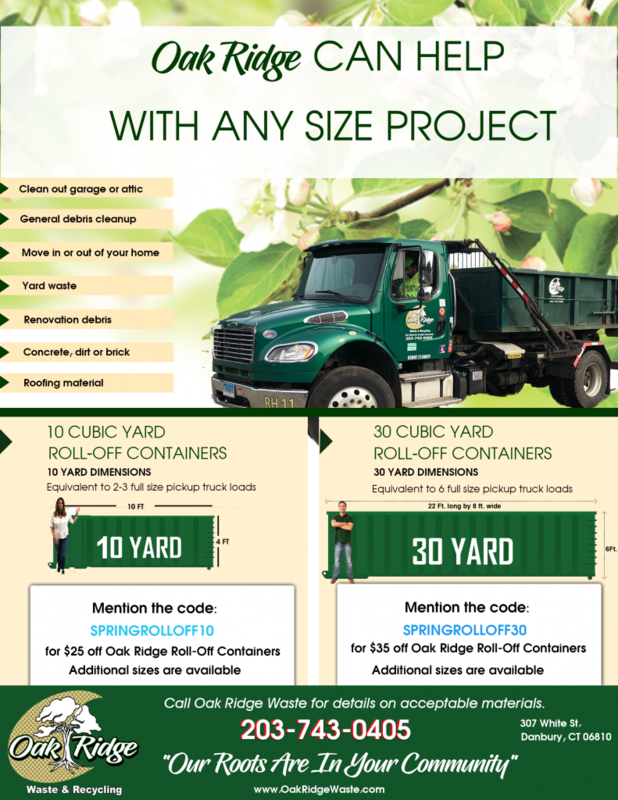 Oak Ridge Waste specializes in all types of waste and recycling services. One of our most sought out service is our dumpster rentals. Wilton residents and businesses seek out Oak Ridge Waste for all their dumpster rentals, because we offer a variety of dumpster sizes and we can deliver the same day you call us. Our dumpster rentals are affordable, and are excellent for projects of concrete, brick and asphalt, or a home roofing project. We even offer smaller sized dumpsters for yard cleaning and spring and summer cleaning. The town of Wilton, Connecticut is a small rural town that has a rich New England history. Wilton has dated back to the 1640’s. Roger Ludlow and a few of his friends purchased some land from the Indians. In 1726, Wilton was officially recognized as a parish and there was forty families that lived in Wilton. The forty families started their own Congregational church, and in 1790 they built the Congregational Church, which is still standing in Wilton. Wilton was a ‘dry’ town. In 1993, an ordinance was lifted, which permitted alcohol to be sold in restaurants. Wilton was then referred to as a ‘damp’ town instead of a dry town. A year later town board allowed the sale of alcohol to be sold in a few stores. Wilton hosts several annual events each year that draws hundreds of visitors to the small town. The Ambler Farm Day is a yearly fall festival that is held the first weekend of October. The Ambler Farm Day has plenty of fun activities and excitement. You can join in the apple slingshot, make your own personal scarecrow, watch the Trebuchet or as most of us know it as a ‘Punkin Chucker’, and children can go into the pumpkin patch, and pet the farm animals. The Ambler Farm Day is just one of many events that happen in Wilton, and is a perfect time of the year to visit this friendly, fun town. Residents and businesses in Wilton contact Oak Ridge Waste Systems for all their dumpster rental, recycling, trash pickup, and waste services. Oak Ridge Waste is the leader in the industry, due to our extensive experience and dedication to Wilson, Connecticut. If you would like any information on any of our service, then contact us today. A Wilton librarian and local collector had a collection of old newspapers recycled after she discovered they had been expertly digitized by the county. She called Winters Bros. Waste Systems and confirmed that they were the Wilton trash collection service that could handle all of her needs. The Winters Bros. Waste Systems let the librarian know that we could help her with her recycling requirements, and all that she would have to do is to make sure that the refuse items were out on the curb (they were already bundled) and the pickup would be no problem. The customer set up the garbage pickup and the Winters Bros. Waste Systems team arrived promptly as scheduled. The customer had all the newspapers bundled and waiting on the curb for our team to retrieve. The following week our team arrived at the same time for her garbage pickup again. The customer called the office to let us know that she was highly impressed with the trash collection that our company has been providing for her. She said that each week we arrived on time and our crew members conducted themselves in a very professional manner. She said that she wished she would have called us sooner, because we offer the best trash collection Wilton homeowners can trust and depend on for quality service. Winters Bros. Waste Systems is the trash collection professionals Wilton residents can set their watch by, because of our prompt and dependable employees. The Winters Bros. 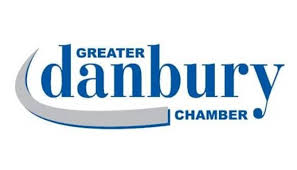 Waste Systems office was contacted by a Wilton landlord. The landlord had switched companies because Winters Bros. Waste Systems gave him a better deal on Wilton garbage collection for his apartment buildings. One thing that he really liked was that Winters Bros. Waste Systems has a very large in fracture and many trucks, which allows them to stay competitive in terms of services offered and the prices on those services. Here at Winters Bros. Waste Systems we really appreciated the kind words the customer had to say about our services and we let him know that anytime that he needed a dumpster rental or single stream recycling to give us a call. We offer more than just garbage collection in Wilton. Winters Bros. Waste Systems has a variety of waste services offered to our customers in Wilton. The landlord said he would sure keep that in mind because he was thinking about doing a bit of renovations to one of his apartment buildings in the spring and he would definitely call Winters Bros. Waste Systems for the extra garbage collection Wilton residents would appreciate. He said that all of his tenants appreciated that our company has never missed a pickup and they are always so courteous and professional. Winters Bros. Waste Systems is the only garbage company that he would call for all of his garbage collection. He said he actually uses our services for his own home too. Winters Bros. provides dependable waste removal services in Wilton, CT. Come back here and learn more about how we like to help all of our customers keep it clean.